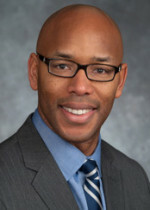 Chicago-based BDO USA LLP (FY14 net revenue of $833 million) announced that Laurence Talley has joined the firm as a director. In this role, Talley is responsible for overseeing professionals and managing client and prospect relationships for the risk advisory services practice in BDO’s Northeast Ohio offices in Cleveland, Solon and Akron, Ohio. He will also serve as a member of BDO’s national financial institutions practice. “Laurence will be instrumental in the development and growth of our risk management and internal audit services. His unique background and experience makes him the ideal individual to lead this practice in NE Ohio.” says Robert Littman, Ohio MP. Talley has more than 20 years of industry and public accounting experience. He is an internal audit and risk management professional experienced in leading risk assessments, internal audit and compliance engagements. Talley advises clients on opportunities to increase effectiveness and efficiency of critical business processes, managing the costs of controls, assessing the functional performance of internal audit departments.